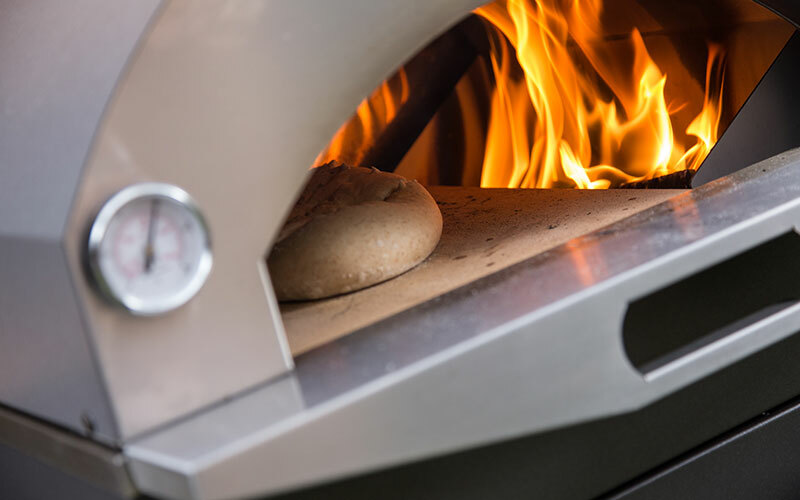 The beauty of flames in a direct heat oven, for anyone who loves cooking with a professional approach at home. 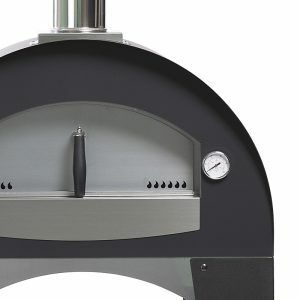 The Fontana ovens, that exploit the direct heat technique, are highly specialised ovens resulting in very short lighting and pre-heating times, leading to a reduction in wood consumption. 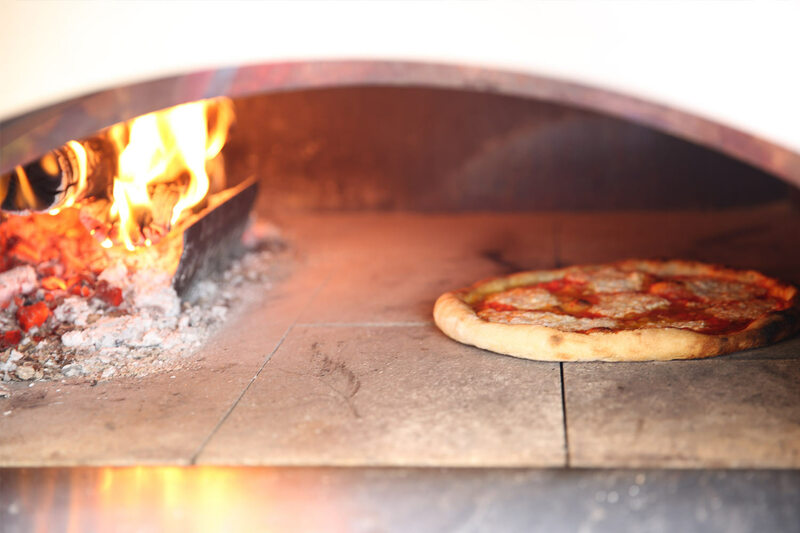 Wood-fired ovens enhance the flavours of dishes, allowing for countless preparations, making them not just an oven for traditional Italian pizza, but a true ally for cooking at home. 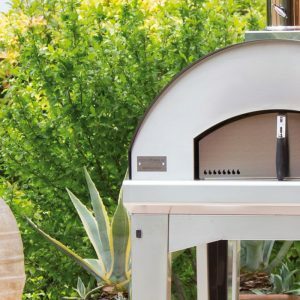 Thanks to its sturdy, yet transportable and easy-to-use structure, this type of oven can be used on a variety of different occasions. Its structure is super-resistant to stress and high temperatures. We offer the customer a 4-years limited warranty! We offer a 4-years limited warranty! 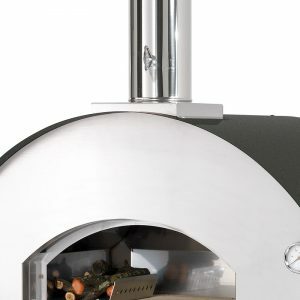 Easy to use: it reaches the temperature in a few minutes, thanks to the stainless steel vault. 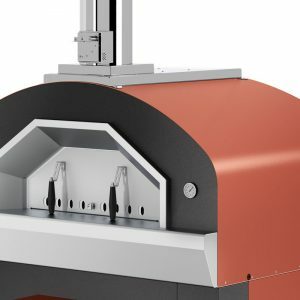 The insulation made of natural rock wool and the refractory cooking bricks allow to conserve efficiently the temperature produced and to limit the consumption of wood. 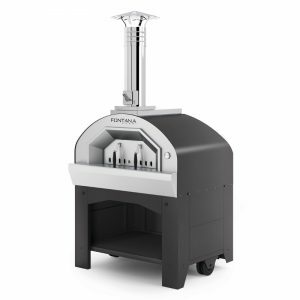 The conceiving of the product in stainless steel of high thickness, the vault produced in a single piece solid welded and not screwed, the double-skin combustion area in refractory steel, allow this product to work for many years without inconveniences. 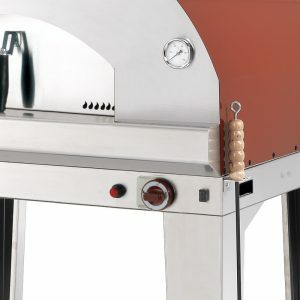 Pre-assembled, therefore it avoids long and expensive assembly times: immediately ready to use! 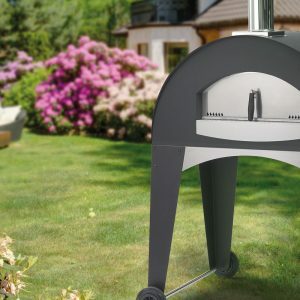 Lightweight and easily transportable; positionable anywhere, including terraces and balconies, thanks to its limited weight. It allows you to enjoy a cooking style that is, at the same time, authentic and able to produce cook the best dishes in the world. 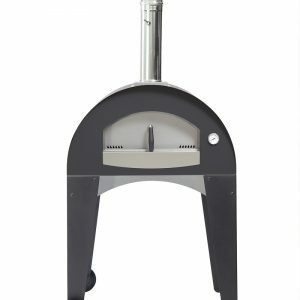 A wood oven is much more than a pizza; as versatile as a conventional oven it can cook any type of food. 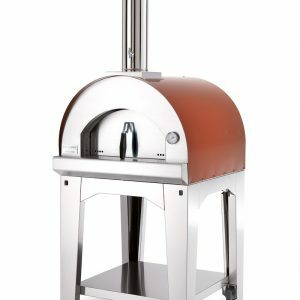 The ideal oven for those who want to cook pizza as in the best Neapolitan pizzerias but not only … Roasted, stewed, slow-cooking on the terracotta pot or on the cast iron cocotte. 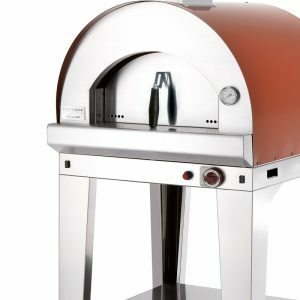 Without forgetting the grilled meat or the legendary fiorentina steak perfectly cooked thanks to the high temperature generated inside the vault of the oven that is not dispersed in the environment.